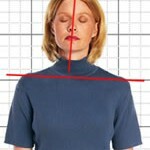 Notice if one shoulder is higher than the other (causes twist to the spine) Does your head tilts to one side. 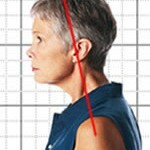 A common problem is a forward leaning head. Besides a source of fatigue, this is a common signs are pain across the shoulders, pins and needles, arm and wrist pain, all our chiropractors at Castle Lane Clinic, Bournemouth are trained to treat these symptoms. Both could be indications of the types of problems that respond nicely to chiropractic care.